Most people don’t give a lot of thought to their exterior doors, but in actuality these doors protect your home and family from the weather and intruders or your business from vandals and damage, which makes proper exterior door installation of vital importance to you and your family. Knowing a few thing about exterior doors and their installation will help you to make the right decisions when it comes to these doors. Exterior doors can last several years and with proper maintanence keep your home safe and secure. However, doors can suffer from weathering, and all different types of damage that makes it less functional that it is suppose to be. If your door is worn or damaged and doesn’t work as efficiently as it should then perhaps it time to consider purchasing a new exterior door and having it installed. When choosing an exterior door there are a few things you should consider in order to get the most value for your money. Here are some things you need to consider. What Kind of Door will best meet your needs? You are going to want an exterior door that will help keep your home secure from intruders while at the same time helping to keep the weather out and perhaps even reducing your utility bills. If you live in a colder or warmer climate you may want an exterior door that has excellent insulation to help you maintain the temperature of your home. If you choose an exterior door with windows, you may want to choose double pain windows or even shatterproof glass in order to help maintain your homes temperature or security. Considering what type of door you need before purchasing it and having it installed will save both money and frustration in the long run. Does the Door You Chose Match Your Home’s Decor? Another thing you may want to consider is whether or not the exertior door you choose to be installed matches your home’s décor. A door that doesn’t match your home’s décor will stick out like sore thumb and get your home noticed for all the wrong reasons. Choose a door that is the style of your home and whose color will match or compliment the exterior of your home. Choose a Door That Improves the Curb Appeal of Your Home. No matter how great the interior of your home is you can improve the value of your home if it has a lot of curb appeal. Having an exterior door installed that gives adds to your home’s curb appeal can add a lot of value to your home for very little cost. Should You Install Your Exterior Door Yourself? Some people do have the knowledge, skills and proper tools to do their own exterior door installation while others may need assistance to ensure a proper fit. Here are just some of the problems that can arise if your exterior door installation is improperly done. Your Exterior Door Won’t Provide Adequet Security. If your exterior door is fit properly it simply won’t provide the security you and family need. An ill fitted exterior door makes it easy for people with bad intentions to be able to get the door open and break into your home where they can steal your processions or cause you and your family harm. An Ill Fitting Door Can Increase Heating and Cooling Costs. An improperly installed or fitted exterior door can increase your home’s heating and cooling costs. An ill fitted exterior door can allow cold air or hot air to enter your home making your heating or cooling system work harder and use more gas or electricity to keep your home warm or cool. An Ill Fitting Door Can Decrease the Value of Your Home- Just as a well fit and good looking exterior door can increase the value of your home an improperly installed exterior door can decrease the value of your home, making it worth less than just the cost the new of a new door. So, while having your exterior door installed by a professional door contractor may cost you a few dollars more during the installation process, in the long run they can save you far more money than the the cost of the installation. In some ways installing an exterior door for the first time is simpler than installing a new exterior door in place of an old one. When installing a new door in place of the old one, here are some things you will need to consider. Is the new door that you will be having installed the same exact size as the old door? If you new door is larger then your door opening will need to be made larger to accommodate the larger door. If the new door is somewhat smaller then work will need to be done around your door room to ensure a proper fit. While installing a new door may be seem to be a simpler process, having to change the size of door opening may be more difficult that most people can tackle without the right knowledge and equipment. Are the hinges of the new door to be installed located exactly in the same place as the hinges of the old door? Most door hinges are attatched with strong screws and therefore will leave behind indentions and screw holes when the door is removed. If the newly installed door’s hinges don’t match up exactly, you will need to fill in some of this area and the old screw holes to help your new door fit better. This can be a time consuming process and you may need to have a skilled contractor in order to make the necessary repairs and install the new door properly. Does the area where the door latch goes need to be repaired? Different exterior doors have different types of latching mechanisms or the latches may be located in a slightly different place. If this is the case then the area where the old latch was attached may need to be filled in or repaired so that the newly installed door can be properly latched. Does your current door frame need to be repaired before a new exterior door is installed. Many times once the old door is removed, you can clearly see that door frame is not always in the best condition. 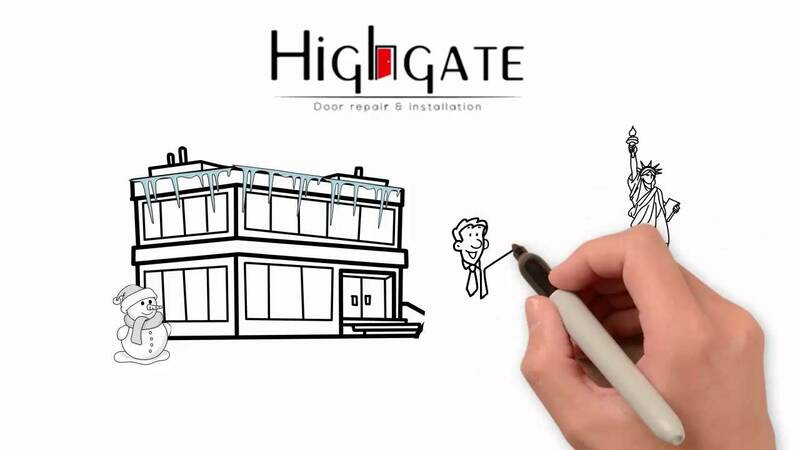 In order for your new door to hang properly and provide you with the security it is suppose it, you may need to have your door frame replaced or repaired when installing a new door. While it is important to choose the right exterior door for your home or business it is equally important to choose the right company to install your exterior door. Here is what you should look for in a exterior door installation company. 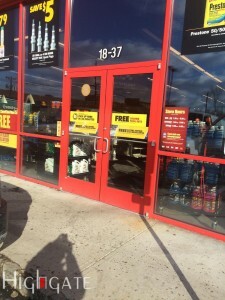 Look for a company that has a lot of experience in installing exterior doors. The more experience a company has the more secure you can feel knowing they have the knowledge and the skill to install your door properly. Make sure the company that is installing is door is fully licensed and insured. That way if anything does go wrong their insure will cover any damage to your home or business. Choose a company in your community if possible. When a company feels part of a community they make an extra effort to guarantee satisfaction to their customers because they depend on your recommendation through word of mouth for a great deal of their business. If you live in NYC, then we believe our skilled door contactors and technicians are the best choice for installing your business or home’s exterior doors. We are a fully licensed and insure company that feels passionate about what we do, and we will bring all our passion, knowledge and skill to installing that door for you. Since we have years of experience we are able to install just about any type of exterior door you may choose and install it properly the first time. Not only can we install your door by appointment and make any necessary repairs to your door frame to ensure a proper fit, but we also provide emergency services 24/7 for those emergency installation jobs. 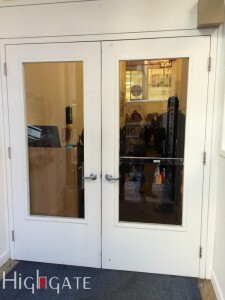 If you are looking to have a new exterior door installed at your business or home why not give us a call at (212) 860-5477 and book an installation appointment or get a free estimate. We also would be happy to answer any questions you may have about our services and will even help you to choose the right exterior door to meet your needs and match with your business or home’s décor.